Known as Persia until 1935, Iran became an Islamic republic in 1979 after the ruling monarchy was overthrown and Shah Mohammad Reza PAHLAVI was forced into exile. 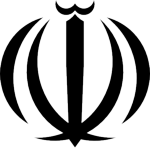 Conservative clerical forces established a theocratic system of government with ultimate political authority vested in a learned religious scholar referred to commonly as the Supreme Leader who, according to the constitution, is accountable only to the Assembly of Experts – a popularly elected 86-member body of clerics. US-Iranian relations have been strained since a group of Iranian students seized the US Embassy in Tehran on 4 November 1979 and held it until 20 January 1981. During 1980-88, Iran fought a bloody, indecisive war with Iraq that eventually expanded into the Persian Gulf and led to clashes between US Navy and Iranian military forces between 1987 and 1988. Iran has been designated a state sponsor of terrorism for its activities in Lebanon and elsewhere in the world and remains subject to US, UN, and EU economic sanctions and export controls because of its continued involvement in terrorism and its nuclear weapons ambitions. Following the election of reformer Hojjat ol-Eslam Mohammad KHATAMI as president in 1997 and a reformist Majles (legislature) in 2000, a campaign to foster political reform in response to popular dissatisfaction was initiated. The movement floundered as conservative politicians, through the control of unelected institutions, prevented reform measures from being enacted and increased repressive measures. Starting with nationwide municipal elections in 2003 and continuing through Majles elections in 2004, conservatives reestablished control over Iran’s elected government institutions, which culminated with the August 2005 inauguration of hardliner Mahmud AHMADI-NEJAD as president. His controversial reelection in June 2009 sparked nationwide protests over allegations of electoral fraud. The UN Security Council has passed a number of resolutions (1696 in July 2006, 1737 in December 2006, 1747 in March 2007, 1803 in March 2008, and 1835 in September 2008 and 1929 in June 2010) calling for Iran to suspend its uranium enrichment and reprocessing activities and comply with its IAEA obligations and responsibilities. Resolutions 1737, 1477, 1803 and 1929 subject a number of Iranian individuals and entities involved in Iran’s nuclear and ballistic missile programs to sanctions. Additionally, several Iranian entities are subject to US sanctions under Executive Order 13382 designations for proliferation activities and EO 13224 designations for support of terrorism. In mid-February 2011, opposition activists conducted the largest antiregime rallies since December 2009, spurred by the success of uprisings in Tunisia and Egypt. Protester turnout probably was at most tens of thousands and security forces were deployed to disperse protesters. Additional protests in March 2011 failed to elicit significant participation largely because of the robust security response, although discontent still smolders.